You can use herbal methods and strengthen your hair to prevent hair loss. You can prevent your hair loss using herbal mixtures that meets the needs of hair’s minerals and proteins in hair care applications. Hair ends dry due to hair ends’ bifurcation and breakage. During combing, dried hairs are broken. Hair dyes, hair dryers, chlorinated water and spending more time in the sun have great effect in hair abrasion. 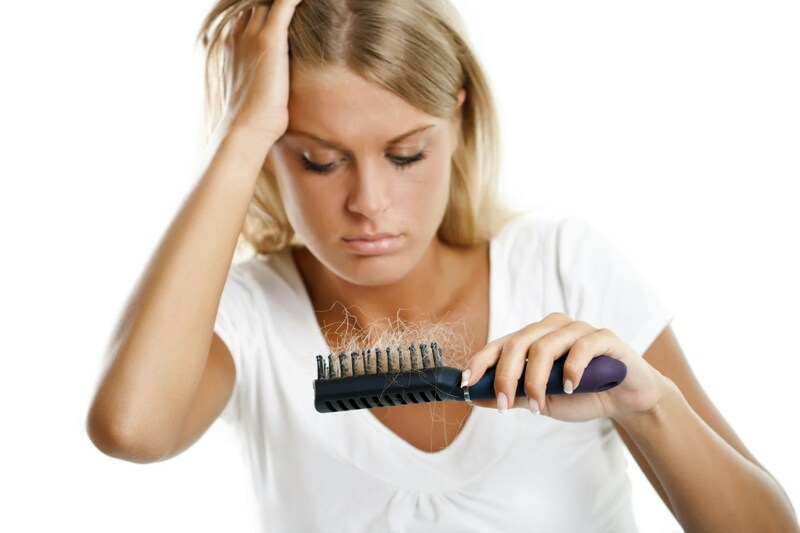 Hair loss might be increased in menopause period. Put and wait sage, rosemary and lavender in 1 liter cold water. Massage this mixture to your hair. After waiting this mixture 1 day on your hair, mix castor oil, olive oil and nettle water. Apply this second mixture to your hair. After waiting 2 hours, wash your hair with a suitable shampoo or soap. You should repeat once in a week. Mix all of the ingredients and apply this mixture by massaging to your clean hair. Wash and clean your hair, after waiting 1 hour. You should repeat every day until hair loss stops. Put a thin napkin or cloth at pot bottom. Heat up nettle, olive oil, and nigella for 45 minutes that you have already put in a jar by water bath method. After heating up and cooling down, take the jar and close it to brew. After waiting until morning, brush your hair and apply this mixture to your hair using a piece of cotton. You should repeat this application 1-2 times in a week. Crush in small pieces fenugreek seed by using blender. Put crushed fenugreek seeds in a jar with full water and wait until morning. Mix this mixture in the morning until reaching a paste consistency then and rub your hair bottom by circular movement. Wait for 20 minutes and rinse your hair. Apply this mixture 2 times in a week until solving dandruff and hair loss. Mix all above ingredients in a porcelain cup using a wooden spoon. Then rub to your hair bottom by making circular movement. Rinse your hair after waiting up to 20 minutes. You can apply this mask to your hair 3 times in a week. Boil rosemary, olive oil, dill and cinnamon in a pot. Then leave to brew for 10 minutes. Filter the mixture and add dry yeast. After mixing all ingredients then apply to your hair and wait 1,5 – 2 hours. Rinse your hair using shampoo and apply this mixture to your hair once in every 3 days. Mix all above ingredients as same amount. Apply to your hair and wrap yoru hair with a wet towel. Wait half an hour and wash your hair. Put all ingredients into a jar and mix them all then close the jar. After fermentation, filter the mixture and apply this mixture to your hair once in 4 days. Mix these oil and massage to your hair bottom for 10 minutes. Rinse your hair with warm water and continue to massage for 5 minutes more. This mixture could be applied once in a week to prevent your hair loss and to grow your hair faster. What Should You Consume for Hair Loss? Body water balance must be kept. Caffeine and alcohol should not be consumed. Plenty of fresh fruit juice and fruit should be consumed. B12, vitamin A and protein-containing foods should be consumed. Green leafy vegetables should be frequently preferred. Thank you so much for sharing this! great post! This is so helpful! My hair needs all the help it can get in the winter! Thanks for sharing these helpful recipes! I have a couple of friends who have this problem so I will pass them along for sure. A great solution, thanks for sharing! I don’t really deal with hair loss, but it’s great that there are so many solutions for those who do! And they are herbal, too. This is fabulous, I am going to send this post to my mom, she has been wanting some alternate solutions for some hair loss! Great tips on how to prevent and treat hairloss! I think its a great idea to try to fix those kind of problems with herbal solutions. Also I am convinced that nutrition plays a huge role in problems such as hair loss. I totallly agree with you about usign herbals. Becuase we need this health our whole life. Aw this post is for me! Thanks for sharing those tips! Thanks for the tips! Great post really helpful.